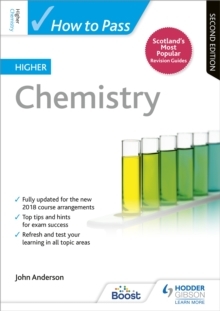 Exam Board: SQALevel: HigherSubject: ScienceFirst Teaching: September 2014First Exam: June 2015Higher Chemistry for CfE is tailored specifically to the extended requirements, teaching approaches and syllabus outlines detailed in the Higher Chemistry revisions for Curriculum for Excellence, to be examined 2015 onwards. A significant proportion of the text is also appropriate for teaching the Revised Higher syllabus being examined 2012-2015. Each section of the book matches a unit of the CfE syllabus; each chapter corresponds to a content area. End-of-course questions, a chemical dictionary and a full index are also provided, with key learning points summarised throughout to help students revise. 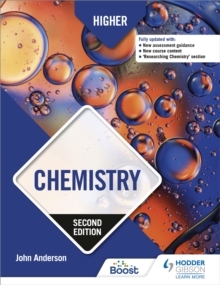 The book demonstrates the relevance of the chemistry being studied by offering students examples of how the chemical industry applies basic chemistry principles to its everyday operation. A with answers version of the text is also available (978 1444 16752 8). 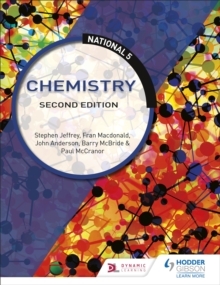 - The only textbook for the Higher Chemistry for CfE syllabus offered by SQA. - Full colour presentation and motivating text design to encourage student enthusiasm. 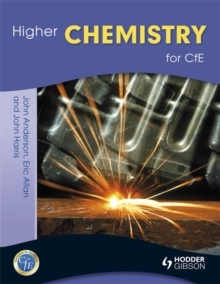 - Combines the traditional strengths of the bestselling Allan and Harris textbook with new material and innovative CfE teaching approaches from John Anderson.